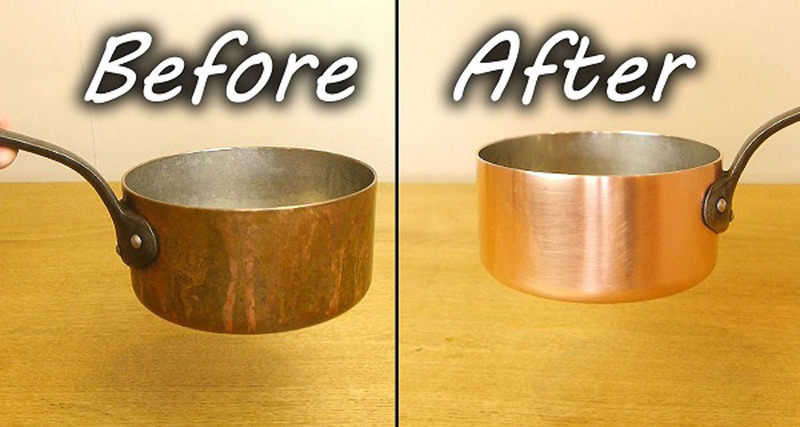 He Spread Some Salt and White Wine Vinegar Over the Dirty Copper Pan and Let the Miracle Happen! Our readers know very well that we like to learn various cool kitchen tricks. But although we like to cook and test a variety of recipes, finally we get what we dislike the most – cleaning and washing up the dishes! The more you cook, the more you will have to deal with the pile of dirty dishes. Fortunately, Dave will show us a really simple and quick way how to clean our dishes, no matter how dirty they are.